Tom Ramage joined Parkland College in July of 1998 as Chair of the newly created Distance & Virtual Learning Department, responsible for developing and administering Parkland’s online course delivery systems and policies. In 2001, he was named Associate Vice President for Academic Services and later, Information Services. In July of 2003, Tom was named Vice President and Chief Academic Officer. 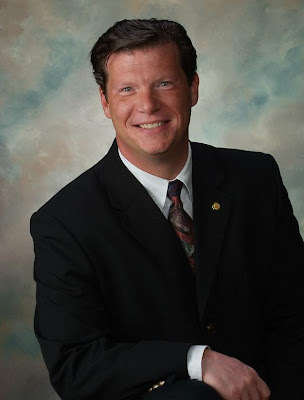 He received his Masters Degree in Education and Human Development with a specialization in Educational Technology Leadership from The George Washington University in 1998, and a Doctorate in Education with a specialization in Instructional Technology and Distance Education from Nova Southeastern University. His research focused on cost-efficiency and return on investment of online programs. Since June of 2007, Tom served as the Interim President of Parkland College. The Board of Trustees appointed Dr. Ramage as Parkland’s 5th President in January, 2008.